Copying the old seat, a new seat was woven on a wire frame. 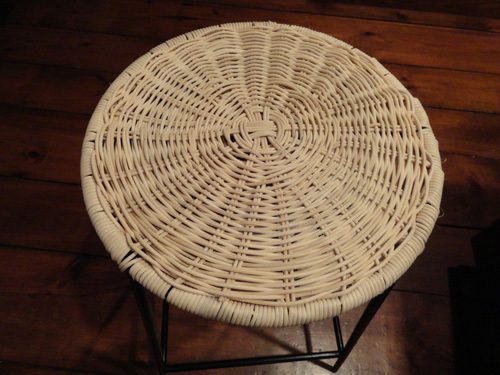 A New Lid for an Old Basket. 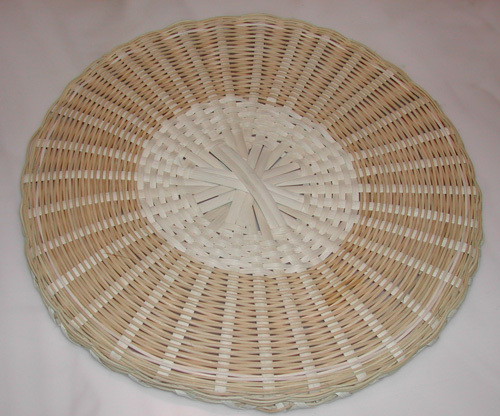 Flat reed spokes set up a round pattern followed by weaving with a round reed and upset into a lid. 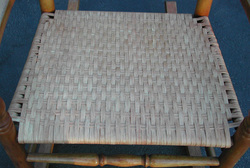 This was rewoven with the seven step method. 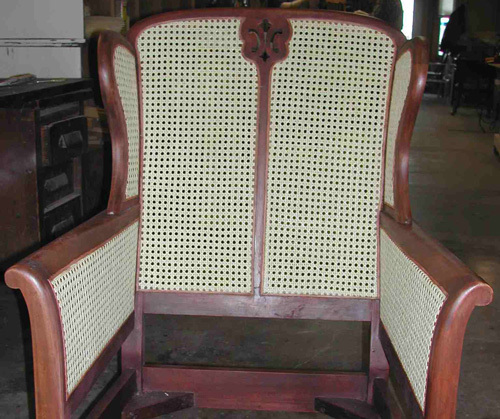 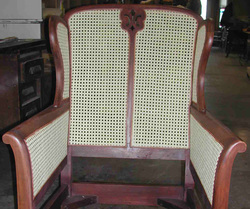 Antique rocker woven in a porch weave pattern of wide binding cane. 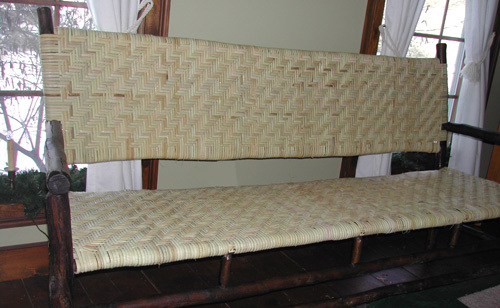 A splint seat woven in a porch rocker style with wide binding cane. 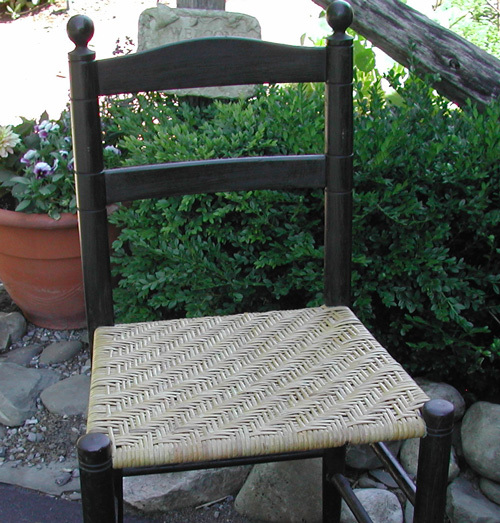 Adirondack bench woven seat and back with slab rattan in a herringbone pattern. 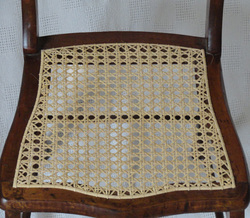 Chair seat woven in a unique old style. Cushioned arm chair with a total replacement of all sections of pressed cane. 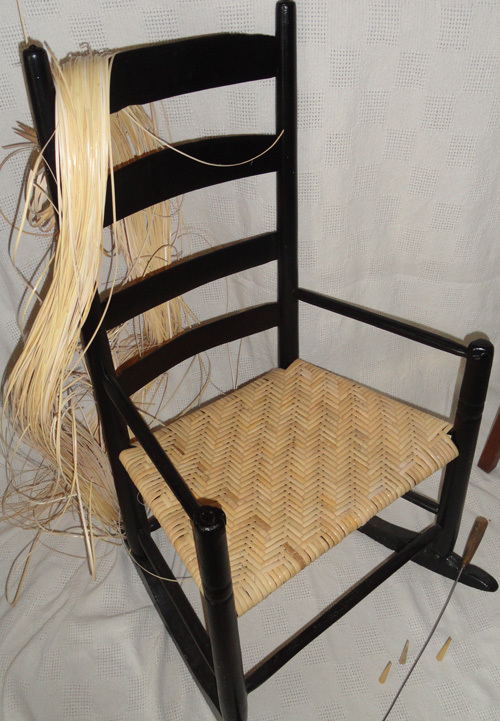 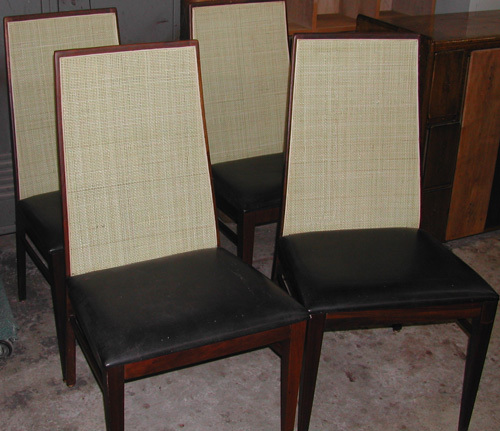 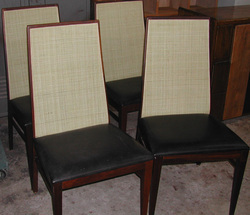 Danish chairs with an entirely different kind of pressed cane. 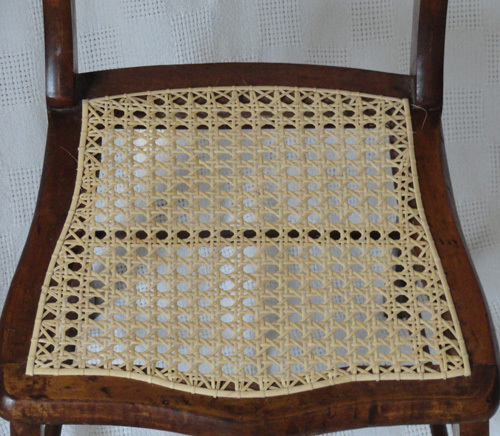 Woven of danish cord the seat is woven onto L-shaped nails on the underside of the frame. 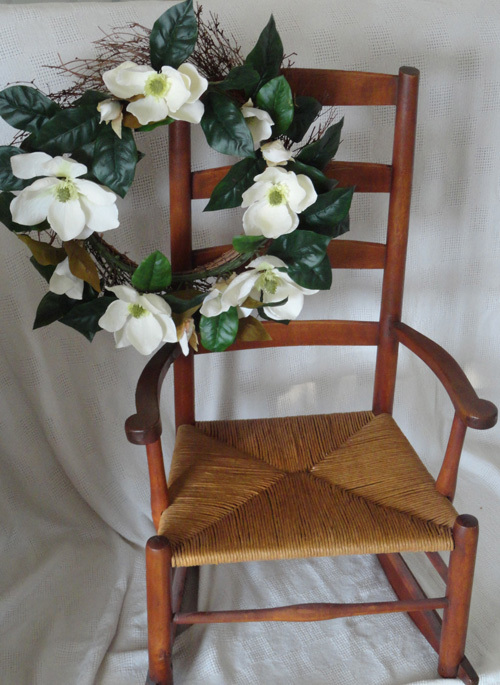 Danish cord is comprised of two twisted fibers then twisted together.